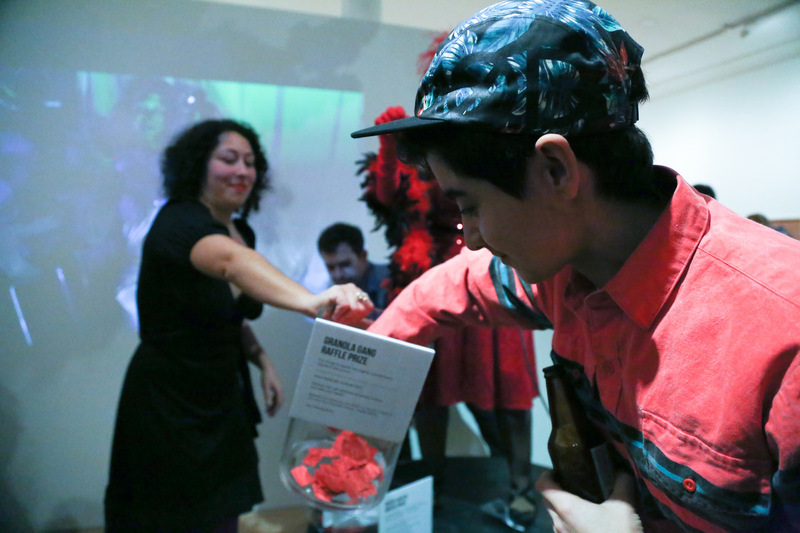 Flux Factory’s annual “Not So Silent” Art Auction will return on March 12, 2015. Join hundreds of your closest friends in the warm glow of gallery lit artworks, the warmer glow of an open-bar buzz, and the warmest glow of keeping Flux alive another year. Yea and verily, when Flux crosses the East River to land on 79 Walker Street, we’ll take no prisoners and leave the earth scorched in our mission to…well…support nice artists to offer free, inventive culture to Queens year-round…we’ll stop at nothing! Our Executive Director Nat would sure love to work alongside a dedicated volunteer in the coming months to help line everything up. For the night of, we invite folks to pitch spectacles, side-shows and decorations. In the past, we’ve had bathroom valets, photo booths, knock-off masterpiece painters – we’re interested in quirky ideas to add to the fun without overshadowing the seriousness of the art auction. No need to go through the formal process as with our other exhibitions on this one — if you’d like to get involved, email nat@fluxfactory.org with materials that get across your ideas and experience. Check out photos from our previous auctions in 2014, 2012, 2011, and 2010.